The Internet of Things is in the queue of biggest technological advancements which will have a huge impact on our lives in the upcoming years. The amount of IoT devices and their collaborative behavior causes new challenges to the scalability of traditional software testing, and the heterogeneity of IoT devices increases costs and the complexity of testing due to number of variables. It becomes imperative for the QA team to come up with an effective test strategy to meet the quality of these diverse products. 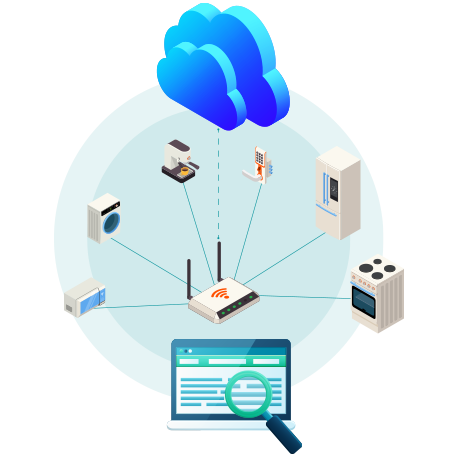 With Volanium leverage end-to-end testing to assure optimum performance of all the variables of IoT enabled solutions. 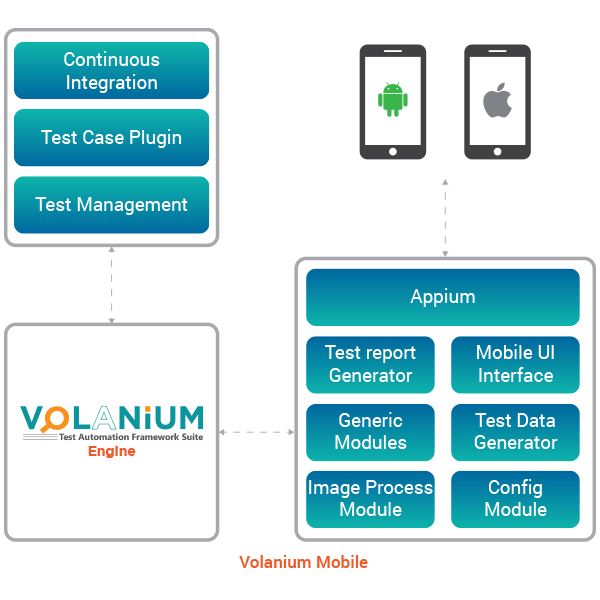 Volanium Mobile is a test automation framework for Android and iOS mobile applications. It is a customized and configurable framework developed on the top of Appium and Robot framework. This test automation framework is for cloud application programming interface. It is developed to support various cloud components, message format, and cloud interfaces. Multiple message formats support like MQTT, JSON, XML, XMPP etc. 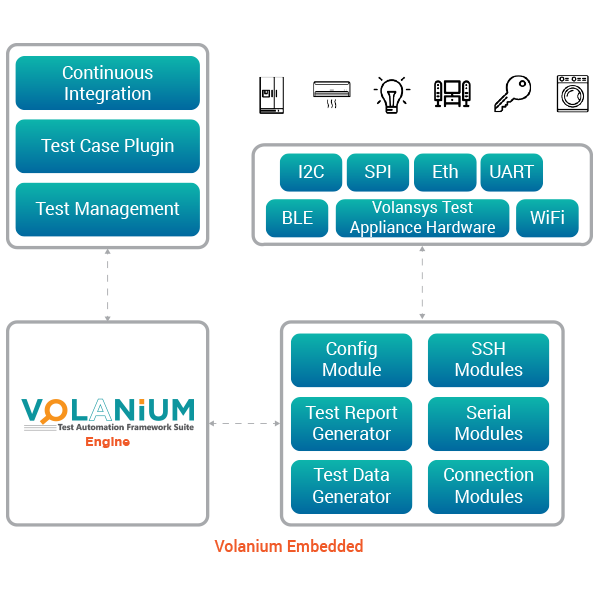 Volanium Embedded is a test automation framework for smart embedded devices and firmware. A test automation framework for web applications testing. It is developed on the top of Selenium and Robot framework. What is Volanium test automation framework suite? 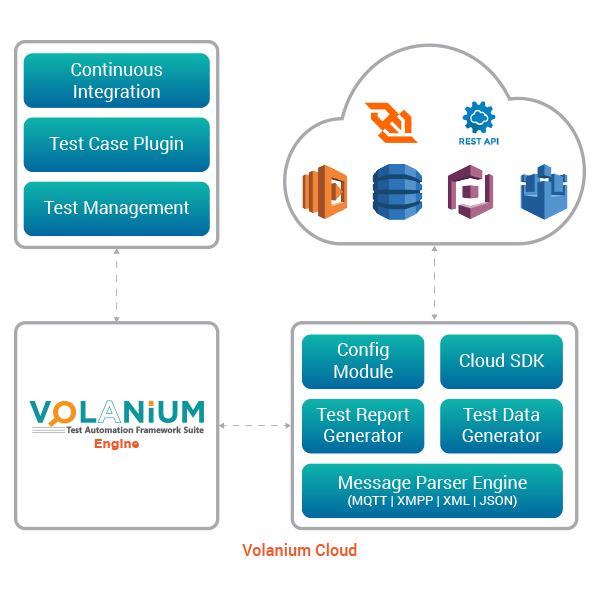 Volanium test automation framework is designed to perform end-to-end product testing for IoT ecosystem which includes the test of various IoT components like mobile applications (iOS/Android), cloud, embedded end devices and web applications. It is a collection of frameworks for these components: Volanium Mobile, Volanium Cloud, Volanium Embedded and Volanium Web which collectively used for end-to-end testing of IoT ecosystem. On which programming platform, Volanium is developed? Volanium is developed using Python 3.0. Can we use Volanium automation framework only for mobile application testing? No. Volanium automation framework is a collection of different frameworks. It can be used for IoT end-to-end testing as well as for individual components. For mobile application testing, Volanium Mobile can be used which is a part of Volanium automation framework suite. Can we re-use the Android mobile application test case for iOS mobile application test? Yes. If the application flow and structure is same for iOS and Android then same test cases can be re-used with configuration changes. Can Volanium be integrated with Jenkins? Yes, Volanium can be integrated with any CI (Continuous Integration) tools including the Jenkins. To perform any test using Volanium, is there any need of scripting knowledge? No. Volanium is developed on the top of Volansys customized framework and Robot framework. The test scripting is in English-like language and hence does not require any kind of scripting language expertise. What all the efforts are required to test any IoT component using Volanium? 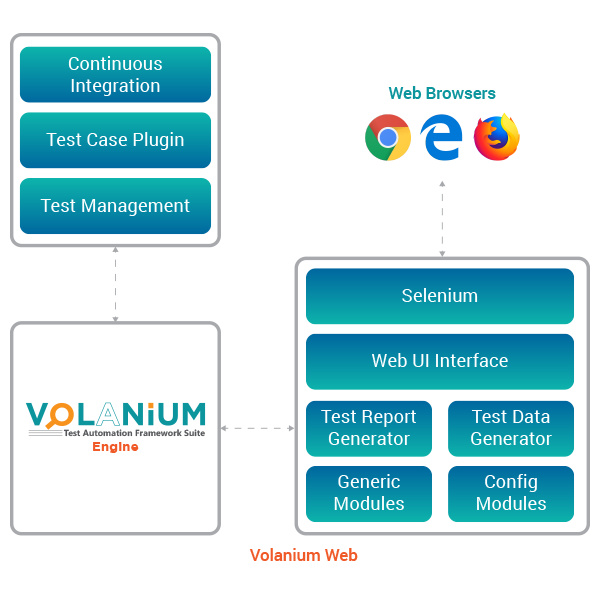 Volanium test automation suite is a plug and play framework. With the continuous configuration and minimum integration effort, any mobile, cloud and web application’s test cases can be automated. The only effort required is to create the test case in English like language. No development efforts are required. The Volanium Embedded requires the customization based on the nature and communication interfaces of device for embedded device test automation. What is the price of Volanium? For pricing and more details of Volanium, Please fill up our Contact Us form. About VOLANSYS: VOLANSYS, an ISO 9001:2015 certified company which has been powering enterprises worldwide to engineer smart connected products at a faster time to market and lower cost of ownership since its inception. Volansys is a Silicon Valley-based product realization and digital transformation company offering embedded systems, digital networking, internet of things, cloud and mobility solutions from concept to roll-out. © 2019 Volanium All Rights Reserved. Copyright © 2019 Volanium. Theme: Himalayas by ThemeGrill. Powered by WordPress.